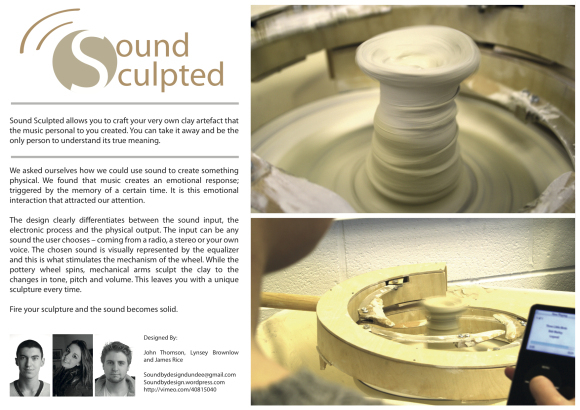 Sound Sculpted allows you to craft your very own clay artefact that the music personal to you created. You can take it away and be the only person to understand its true meaning. 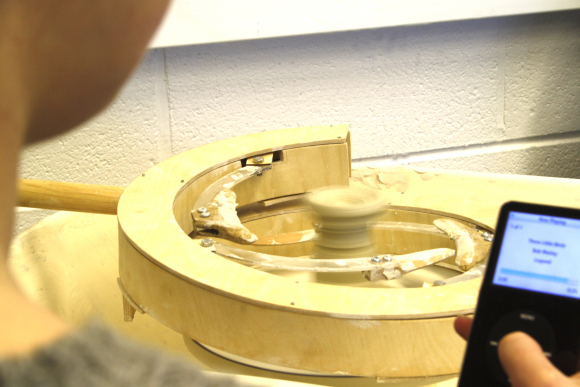 We asked ourselves how we could use sound to create something physical. We found that music creates anemotional response; triggered by the memory of a certain time. It is this emotional interactionthat attracted our attention. 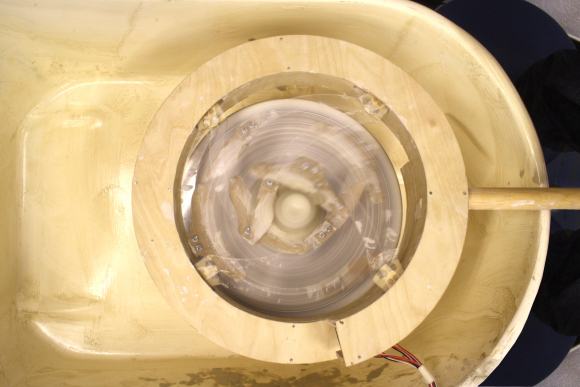 The design clearly differentiates between the sound input, the electronic process and the physical output. The input can be any sound the user chooses – coming from a radio, a stereo or your own voice. The chosen sound is visually represented by theequalizer and this is what stimulates the mechanism of the wheel. 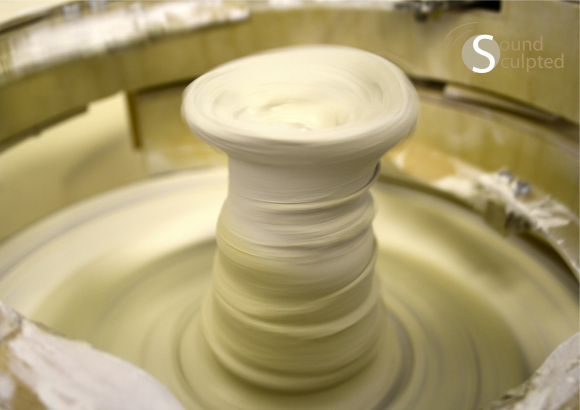 While the pottery wheel spins, mechanical arms sculpt the clay to the changes in tone, pitch and volume. This leaves you with aunique sculpture every time. Fire your sculpture and the sound becomes solid.